Yesterday, I wrote about three states (Virginia, Wisconsin and Texas) where new legal developments have helped clarify the picture for this fall’s elections. But there is another state where a constant stream of legal developments has left just about everyone concerned uncertain about what will be expected on Election Day in November. Ever since the Kansas Secure and Fair Elections Act went into effect in 2013, there has been a seemingly endless string of legal battles over its legitimacy. The controversial law requires people to provide proof of citizenship when registering to vote. It was authored by Secretary of State Kris Kobach, who believes the law protects Kansas from fraudulent voting. Here, a look into the wonderful world of state and federal lawsuits to find out how the SAFE Act may affect upcoming elections in Kansas. Back in 2014, Kris Kobach stood on the steps of the federal courthouse in downtown Wichita after a long day of court proceedings. “This case is about Kansas’ right as a sovereign state to enforce our voter qualifications—specifically that voters must be U.S. citizens,” he said. Since those court proceedings took place, the rules for voter registration in Kansas have resembled a game of ping-pong, with each side alternately scoring and losing points. The federal judge presiding over the 2014 case ruled in favor of Kobach, and ordered the EAC to change the federal voter registration forms–not only in Kansas, but also in Arizona, where similar proof-of-citizenship laws exist. However, an appeals court blocked that ruling, stating that the EAC is not required to simply rubber stamp any and all requests from individual states. Kobach attempted to appeal to the U.S. Supreme Court, but was denied. Kobach then decided that if Kansans are able register to vote using a federal form and not provide a birth certificate or passport, he would only count their votes in federal races, not state or local ones. The 30-page ruling essentially said that the Secretary of State doesn’t have the authority to establish a two-tiered voting system, and that these two individuals shouldn’t have been punished for using the federal form. It was around this time that a newly appointed executive director of the Election Assistance Commission, Brian Newby, who previously worked under Kobach as the Johnson County Election Commissioner, unilaterally added proof of citizenship mandates for the federal forms in Kansas., Alabama and Georgia. So with both federal and state forms requiring the same thing, the issue of a two-tiered system was cleared up. Kobach also began purging the suspended voters list. If potential voters didn’t complete their registration within ninety days, their names were removed and they had to start the process over again. That meant it was impossible to register to vote in Kansas without proof of citizenship. And it was a big point for Kobach. But then came a federal court ruling in May of this year that said forcing people to provide birth certificates or passports while registering to vote at motor vehicle offices is a violation of the federal “Motor Voter” law. Roughly 55 percent of voters in Kansas registered at the DMV; the federal judge ordered Kobach to register more than 17,000 people who had been stuck on the suspended voters list. That’s a big point for SAFE Act opponents. The ACLU lawsuit filed last week seeks to dismantle this dual voting system. The organization would like to see those 17,000 suspended voters cast ballots in state and local races–not just federal ones–without having to provide proof of their citizenship. A court date has been set for July 29—just a few days before the Kansas primary election. Meanwhile, local election officials have no choice but to prepare as best they can. Sedgwick County Election Commissioner Tabitha Lehman says it’s been difficult to keep up with all the changes. Election offices have been instructed to identify the suspended voters in their county who registered to vote at a motor vehicle office. When these individuals head to the polls, they’ll vote provisionally. Lehman says those 4,400 people in Sedgwick County still have time to provide their proof of citizenship in order to vote normally. As for the provisional method, it’s a lengthy process. Voters that are suspended for any reason will receive a paper ballot that is marked as provisional. Those ballots will be set aside and not counted on election night. They’ll be processed over the following week, and each and every one will have to be approved, or thrown out, by the members of the Sedgwick County Commission. Lehman says the impact of holding onto ballots for a week after Election Day is unknown. “It’s going to be fluid. So saying right now how much of an impact it will have, I just don’t know. I can’t even speculate, because it’s not a known factor yet,” she says. Election litigation is something that every election administrator must deal with at some point in their professional lives, but you would be forgiven if you felt like Kansas officials (and voters) have had enough uncertainty for several lifetimes. This is usually the part where I optimistically start a sentence with “here’s hoping,” but right now it looks like continued uncertainty is probably the rule in the Sunflower State for the foreseeable future. 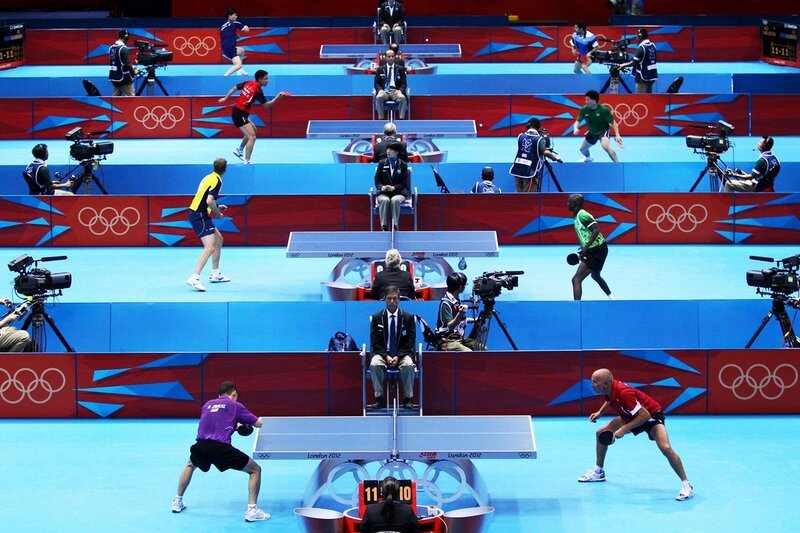 After all, the current match stands at 3-3 … and ping-pong matches go to 11. Be the first to comment on "Sunflower State “Ping-Pong”: Tracking Election Litigation in Kansas"